I have always had a soft spot for old books. Their colors, their size, the idea that they have been passed around and loved on. To me they are small, portable time machines. But if a girl (me) does not have the sort of personal library space that you might find at Pemberly, she must narrow her focus a bit. 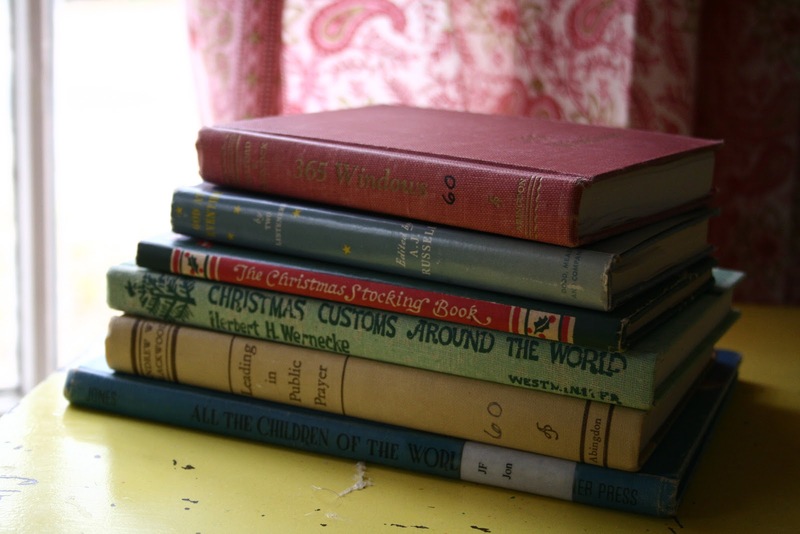 For a while I collected old copies of Little Women, Winnie the Pooh and Pride and Prejudice. But again, I only have so much room. And I believe strongly in things being both functional and beautiful. I am not sure how functional multiple copes of Little Women are. 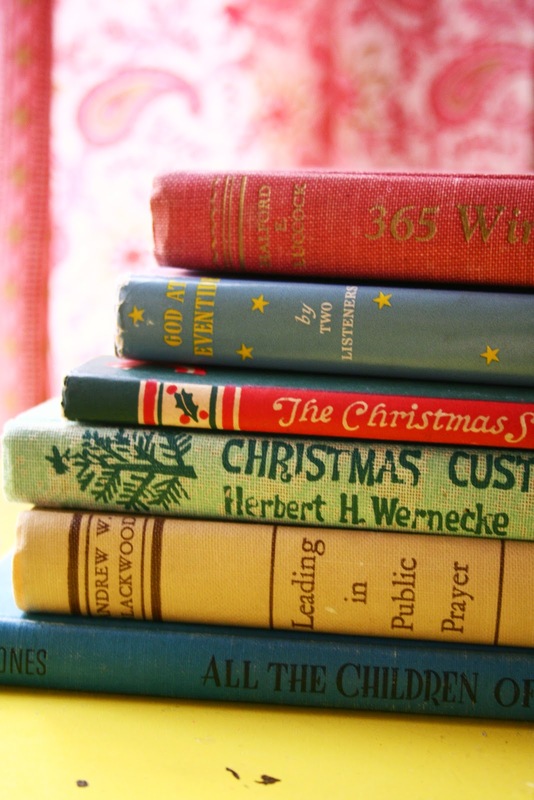 When I began writing A Homemade Year I began digging around for books about how people – in America and around the world- celebrate the feast and holidays in the Church Year (Advent, Lent, All Saints Day, Michealmas.) I also began looking for books of written prayers, essays and other observations about the Liturgy of the Hours. 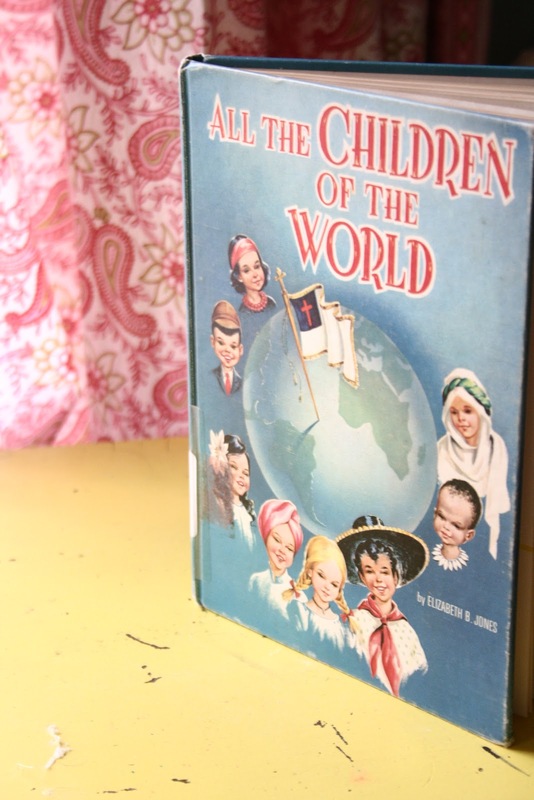 Many of these traditions and practices have been lost in our busy, frenetic lives and so the books I found most helpful were often old, dusty, vintage works that I found buried in church libraries around town. So now I buy old books, but I buy ones that I can use for inspiration and reference in my writing and in our family observances. 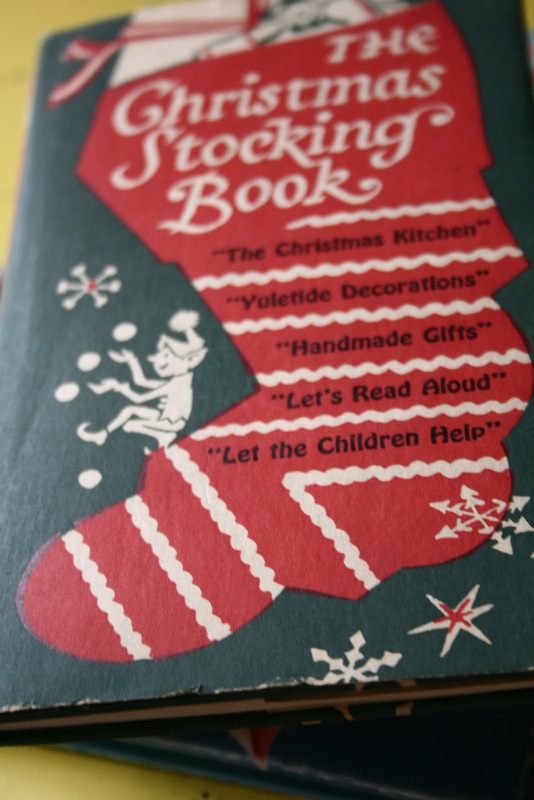 Books about holiday traditions for entertaining, crafting and cooking. I also look for prayer books, biographies of Saints and Monks, and Church history written for children. Though I do tend to pass up the versions that make the Crusades out to be a glorious adventure for good. Yikes. Last week Sweet Man, Wylie, my friend Kerri and I, all hit our local libraries book sale where I managed to snag these few finds between having to sit and rest the ole foot. Why don’t they make books to look like this anymore? So lovely. Even though I am a die-hard book lover and reader, I will be the first to admit that I am often drawn to a book by it’s cover. Finding pretty books that turn out to be good books is always delightful in my opinion. Do you have an old book addiction? Surely it isn’t just me. Hi Jerusalem! Oh – believe me – isn't just you! My old book addiction has nearly threatened to take over the house! I love them so, and I cannot pass them up, nor can I seem to part with any of them. So I just keep bringing them in. We need to have some built-in bookcases put in, and even when we do it still won't be enough extra space to house them all. So what do I plan to do about the problem? Why, keep adding to my book collection, of course! What else is an old book-lover to do, I ask you? I am pretty sure I have way more old children's books than the kids could ever look at by now. Jack never cared about the older ones, but Sam has an appreciation for them. Yippee!! 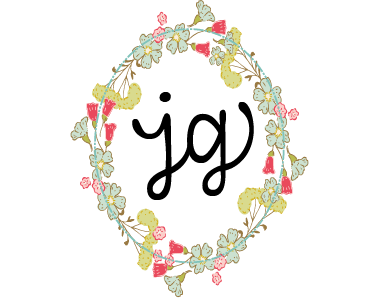 I write two blogs: a creative blog and a book blog. I have worked with books for over ten years and am currently working to become an Archivist. I so appreciate old books and old documents and papers. I agree with you. There is just something special about things that have been handed down for so long. If I had room, my house would be FILLED with old books!!! I love old books too. I suppose it all dates back to childhood and the old mahogony secretary filled with my grandfather's old books. 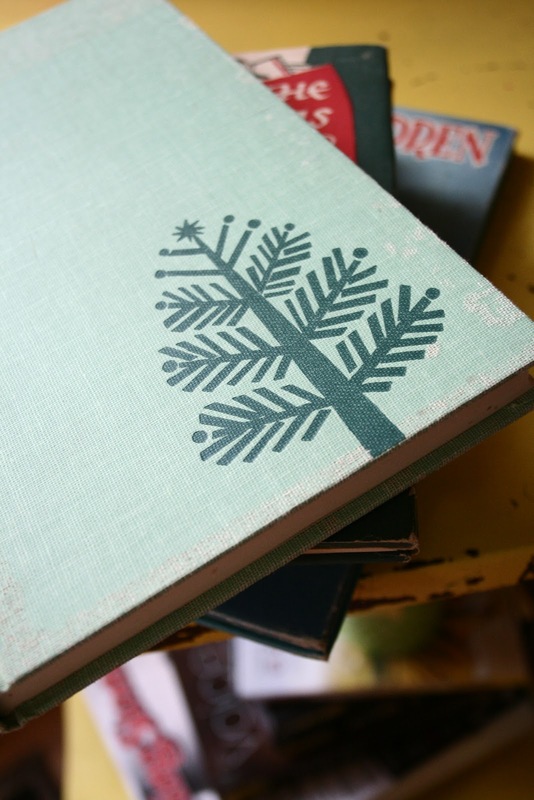 I remember the old issues of Hans Brinker and the Silver Skates, Kipling's The Jungle Book, The Bird's Christmas Carol with the lovely vintage graphics. I love the old prayer books–the old Lutheran prayer book I found at the antique mall–I look for them at estate sales too.